If you need original songs for games, television, film, or need music for your lyrics, I can help. I will either meet or talk with you to get a vision of how you would like your song or project to sound. From there I will mix your song(s) using many different techniques I have learned over the years. Once your song(s) are mixed I will present them to you for approval. If you are not satisfied with the mix I give you, then we will talk again to see what needs to be changed and fix it. My main goal is to have you satisfied with the final product. A: Q. How long will my mix take? A. It depends, but in most cases I can have a mix ready in a day or two Q. How much do you charge? A. I usually charge $400 per song, but price is negotiable with multiple tracks Q. Is Dave Pensado a nice guy? A. Dave is one of the nicest and most humble people that I have had the privilege of meeting and learning from. A: My career path started out as a mixing engineer, and then morphed into music production and original songs. I have been doing this for 5 years professionally. A: Original Music, and Mixing. A: I would recommend Luke Libby out of Nashville, TN. I have known Luke for many years and went to school with him. He is a very talented Musician, Mixer, and Producer. A: I recently remixed a song from a band called Astyplaz out of Greece. The song is called "Lost In The City." It is a really great song. When I remixed it I had a vision of the 80's and remixed it with that theme. It has big drums, lots of reverb, and a great 80's vibe. A: Right now I am working on a couple of remixes for clients. A: Both are good. Analog is good because it's what I grew up on and I like the sonic qualities that analog provides. Digital is good because it is easy to work with and instead of spending thousands on analog gear, you can spend a fraction of that on digital plugins. A: What I like most about my job is that I get to do something that I love. A: The biggest misconception about what I do is that mixing is easy and not time consuming. While it's true some mixes don't take too long, others can take a long time. A: Check out multiple providers. Try and find someone who fits your style. A: My mixing style is influenced by Dave Pensado which includes putting the emotion in a mix and really knowing what the artist wants out of their song. A: I would like to work with Vince Clarke because he is one of my musical idols. His influence on electronic music is insurmountable. A: I work on all types of music, but work mostly on EDM, House, Trance, and Techno. A: My mentor and teacher Dave Pensado taught me that there is more to a mix than just making the song sound good. I was taught to bring emotion into the song and find out what the artists vision of the song is. I bring out the emotion in songs. A: When I produce a song I like to meet with the artist and find out their vision for their song. If they all ready have a song made, I like to go through the arrangement and see how it flows. If they don't have a song made, then I will help them build a song based on what their vision is. When I mix a song I listen to the original track or rough mix first. From there I build the song around the vocals, bass, and drums. I then add in other instruments. After that is complete, I start the mixing process. I put effects in where needed. From there I go over the mix with the client and see what if anything needs to be fixed. A: I have a professional commercial studio located in Nashville, TN. I have a 2015 Mac Pro, Apollo Twin Duo, Bowers and Wilkins 683 S2, Yamaha NS-8 (1979) JBL 4311 WX-A (1970's). I use Waves and UAD plugins. A: There are many musicians that inspire me. The top five are: David Bowie, Pet Shop Boys, Vince Clarke, Giorgio Moroder, and Deadmau5. I offer 2 revisions of any work that I do. My turnaround time on mixes is about 2-3 days. The turnaround time on Original music varies based on the complexity of the song. 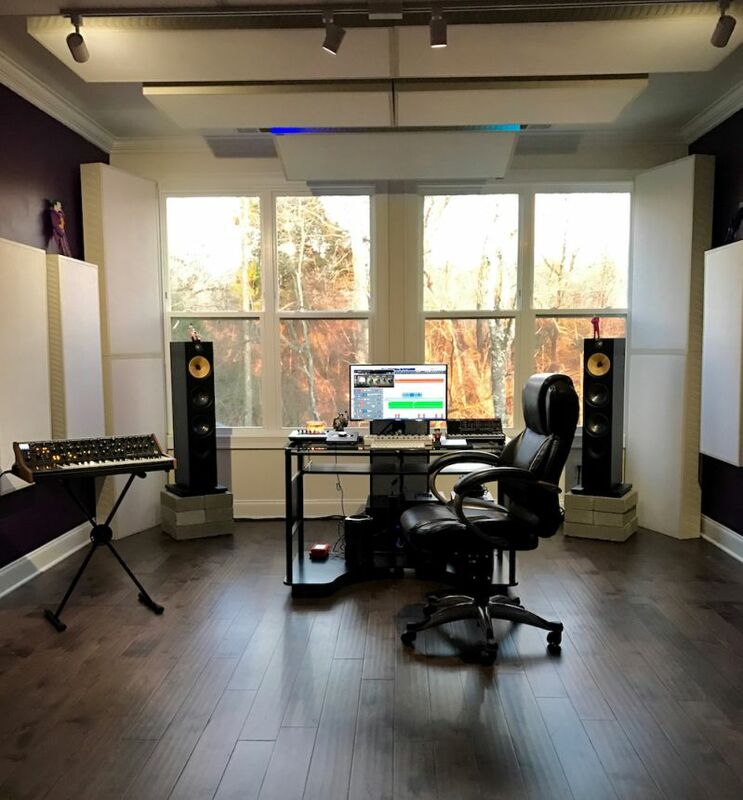 I wanted to update everyone and let them know that the studio is officially done! I am looking forward to working with you on your song needs! The studio is almost done! The hardwood floors are being laid today and then the panels go up! I am looking forward to working with everyone in the new year!!!! You may see the new Mr. Kaplan Productions as my business name. I changed it from 2catsaudioproductions because my marketing manager said I was competing with myself by having the 2cats and Mr. Kaplan names. We decided to combine the two and go with the Mr. Kaplan name because it was better established. I hope that helps clear up why the name changed. I am in the process of relocating back to Nashville. I have been in Memphis for two years, but have the opportunity to go back to Nashville. I will be having a new studio built by Carl Tatz. For those of you who don't know who Carl is, please look him up. He is the best studio designer in the world! 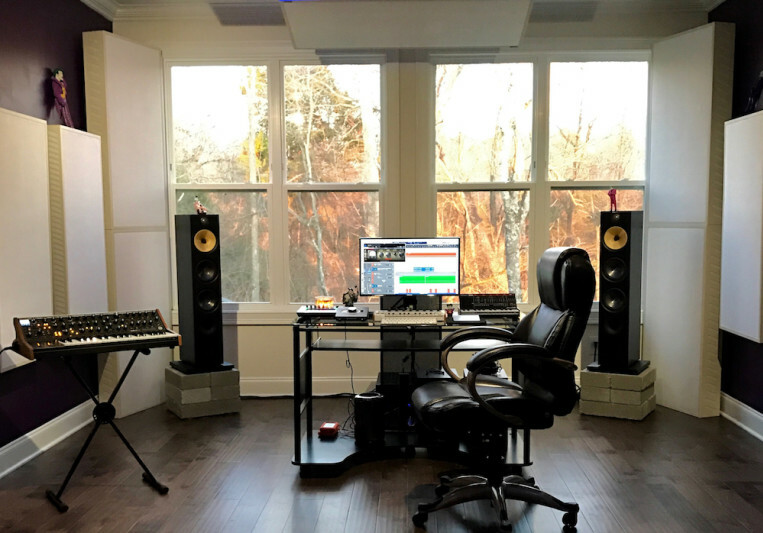 I'm looking forward to the new studio and making more music!